That's what St. Augustine said. He was one of the greatest thinkers, writers, and orators in the history of Catholicism, who could preach for hours and was constantly writing philosophical revelations. And yet he realized the power of music to convey the hopes in the hearts of the faithful. Just as David played his harp in praise of God, just as the angels sang "Gloria! Hosanna in the Highest!" when Christ was born in Bethlehem, music enriches our worship. 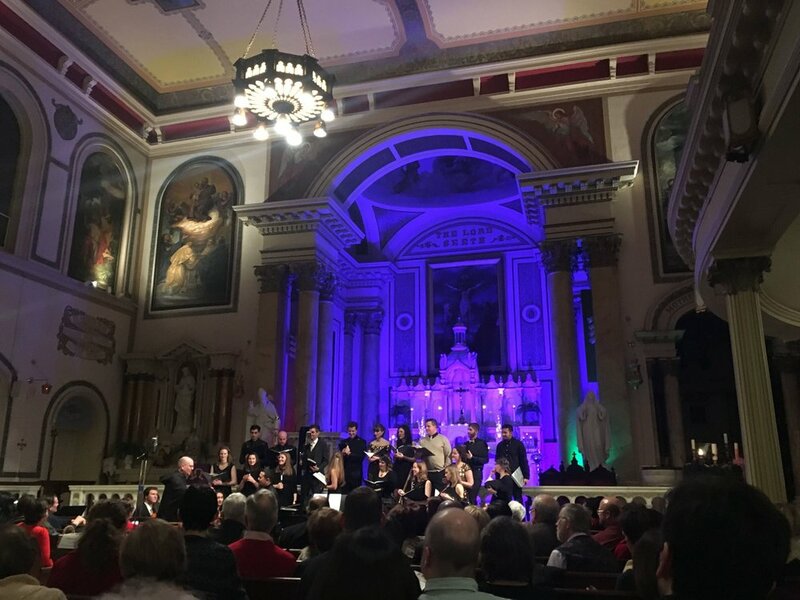 Led by our Music Director, Mr. Kim Barroso, the St. Augustine musicians are on hand at each weekend Mass to help the faithful channel their thoughts and pray. The St. Augustine Choir sings at the 11:00 am Mass on Sunday mornings, and for select Holy Days and festivals. The choir is composed of parishioners and sings in English and in Tagalog. The St. Augustine Chamber Choir members provide music at the 7:00 pm Mass. This come-as-you-are group of musicians is composed of area professionals who are adept at sight reading and improvisation and strive to bring a special interpretation to music selections. Often featuring piano, guitar, violin, and multi-part voices, the Chamber Choir relies heavily on ear, talent, and St. Cecilia's blessings. Selections vary widely, spanning classical compositions, traditional Christian songs, contemporary music, and even the occasional improvisation. Cantors and instrumentalists for special events (festivals, holy days, and sacraments) are professional musicians from the St. Augustine community. Contact Kim Barroso for more information about hiring one of our experiences musicians to complement your liturgical celebration.